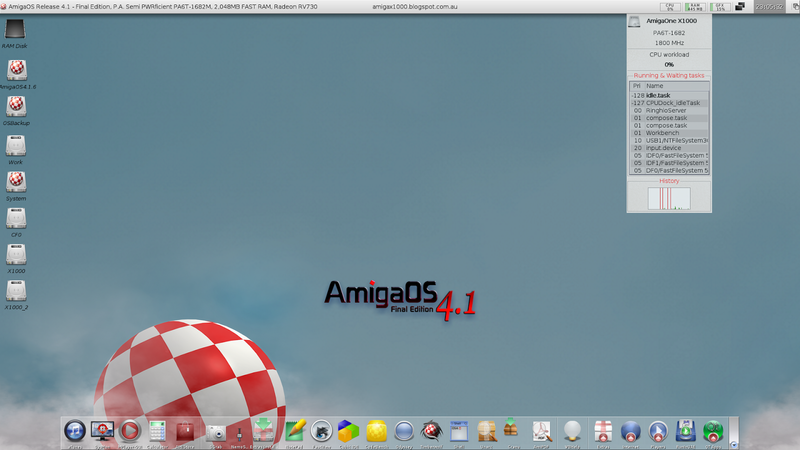 Today I want to take a look at some Dockies using AmigaOS 4.1 Final Edition on the X1000. So what are Dockies? Basically they are an interactive object that appears in an AmiDock toolbar on your Workbench screen. They can perform a lot of different functions as we will see. 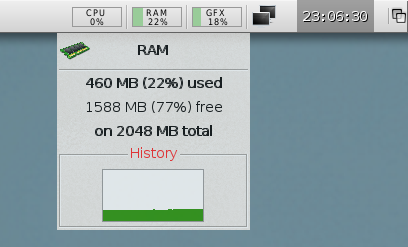 You can drag normal icons into the Dock to launch programs by clicking on them, or drag and drop files onto them to launch a file using the requested program. Eg. Dragging a music file onto AmigaAmp, a picture file onto Multiview or dragging a text file onto Notepad to edit it. 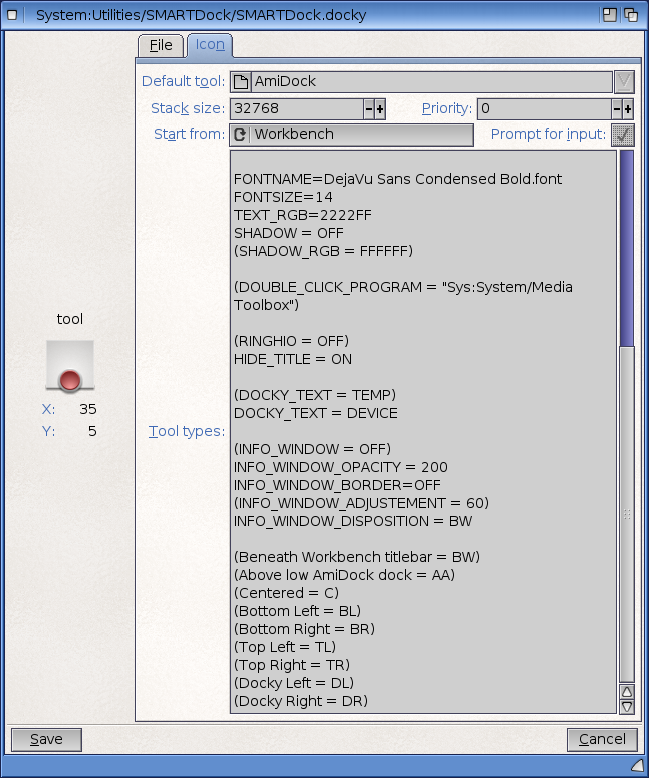 Dockies can provide interactive information above this basic functionality of icons in the AmiDock toolbar. 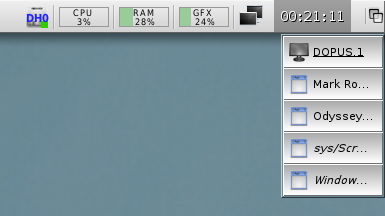 Some like the Subdocks are well known to AmigaOS4.1 users already - for example the Extras and Internet sub docks shown below - which allow additional icons to be added to them (via drag and drop or through prefs) which expand when clicked on in a Dock (click to expand). The Mixer and NemoSound docky allow you to quickly control the volume levels on input and output of sound through the sound card in the X1000 from the Dock. There are more too of course - I am just scratching the surface here. In addition to the ones above, the Z-Tools suite of programs by Zzd10h (available for purchase on AMIStore) has a number of useful tools that uses various Dockies to place information about your system, network, and graphics card at your fingertips on the Workbench. 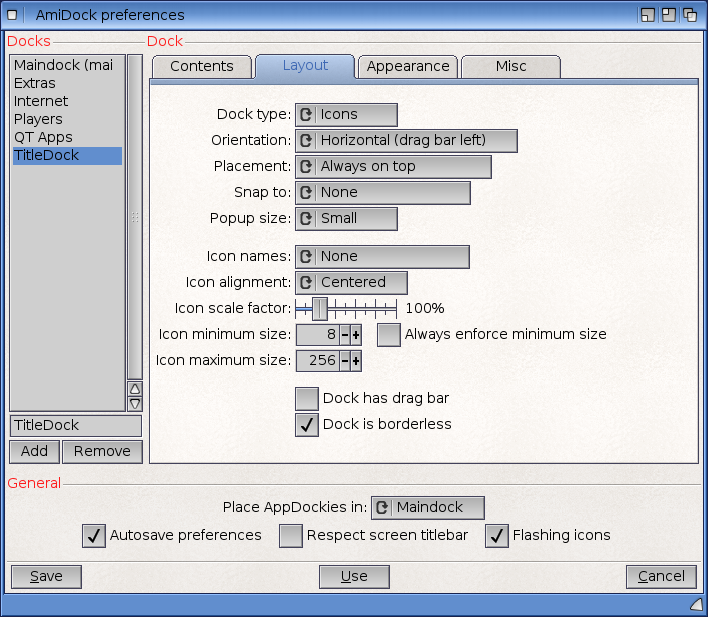 The Z-Tools dockies go one step further by supporting MiniDock mode of operation. This requires a little more explanation. 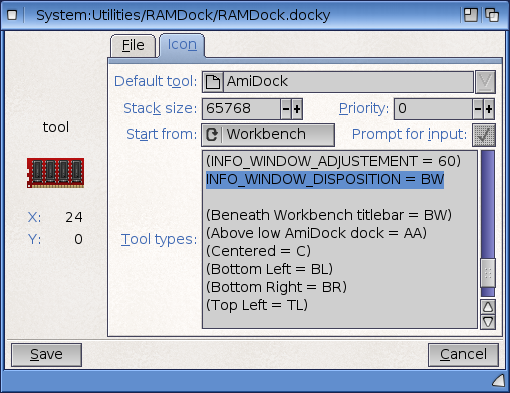 MiniDock mode means that the objects used are resized to a much smaller size than a standard AmigaOS icon size used in a normal Dock, making it possible to size a AmiDock Dock to fit snugly inside the Workbench Title Bar at the top of the screen (or elsewhere). 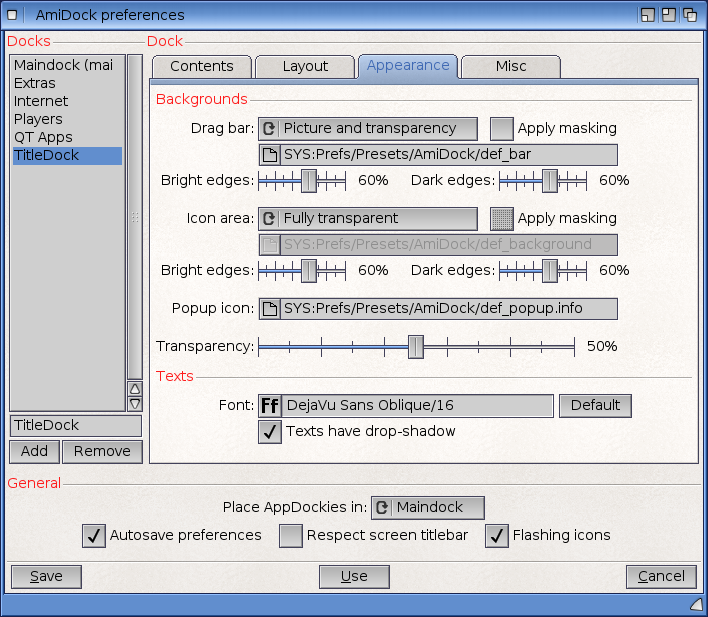 In the AmiDock preferences (available from clicking the down arrow and selecting Edit Preferences - next to the Amidock default MainDock on the Workbench) you can add additional Docks, which you can configure for use in MiniDock mode. 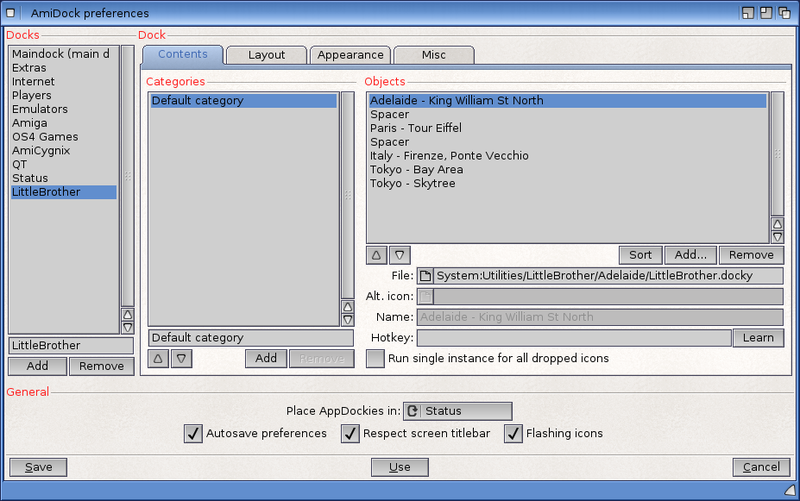 In the example below I am adding a new Dock called TitleDock that I plan to use for the MiniDock icons in my Workbench title bar space - Below I have created the New TitleDock on the Left (Click Add to do this) and then added the various Objects (Dockies) I want installed in the Objects heading (again, click Add to add them in individually). Note I have included Separator.docky dockies (which are in Sys:Utilities/Dockies) between each object for cleaner appearance in the Titlebar. This is not required, but I think it looks better with it - personal choice though! 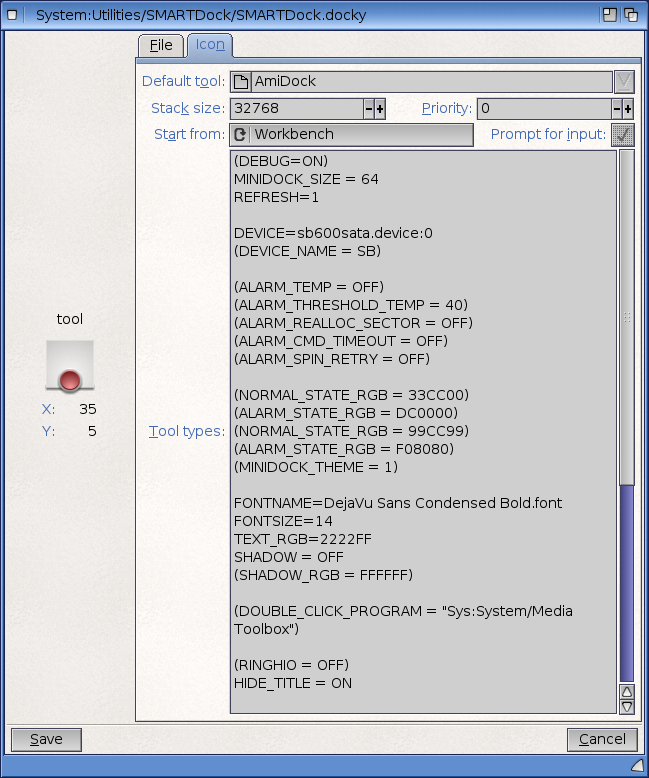 Important thing if you want the toolbar to exist in the workbench Titlebar is to uncheck the option in AmiDock at the bottom of the Preferences screen above to Respect screen titlebar. This then allows Docks to be positioned in the titlebar - otherwise this is not allowed. Moving to the Appearance Tab, we need to ensure the TitleDock Icon Area option is fully transparent so it looks right on the titlebar it will be placed on top of, as below. Note that after changing these settings - the resulting TitleDock may not be aligned as you want in the Title bar - it wasn't for me either. This requires a bit of mucking around with positioning on the screen with the drag bar enabled to get it where you want it. Once you have it where you want it - uncheck the drag bar option as mentioned before and Save it's position. Remember also that the drag bar is included in the position of the Dock. When removed it shifts the dock that distance from the position you had before - allow for that when positioning prior to saving it without it so it is where you want it. 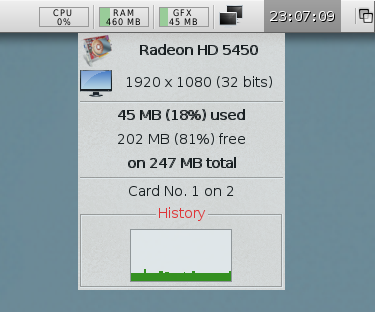 The GFXDock docky is next up, showing the current Graphics card screen resolution, memory usage and total available. 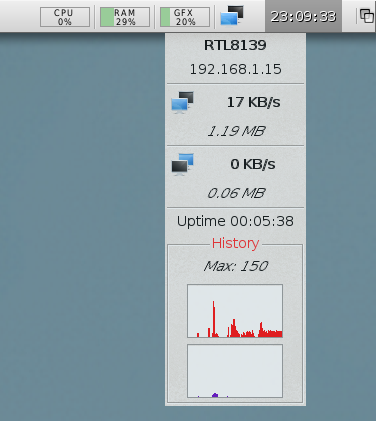 The NetDock shows the data uploaded/downloaded amount and speed, total uptime and the historical data transferred in graphical format. I also added SmartDock.docky, which I downloaded from os4depot.net here, which allows you to report on the health status of your SMART enabled hard disk (assuming your hard disk is SMART enabled). Note that the time clock on the right is not part of the dock, but a separate program I run in my wbstartup called Digiclock (download from os4depot.net here). I positioned the TitleDock so it fitted nicely with it on the right hand side of the Workbench title bar and looks more integrated. There are plenty more dockies out there to explore, and investing some time in the readme for each dock is worthwhile, to get them working for you the way you ideally want them to! 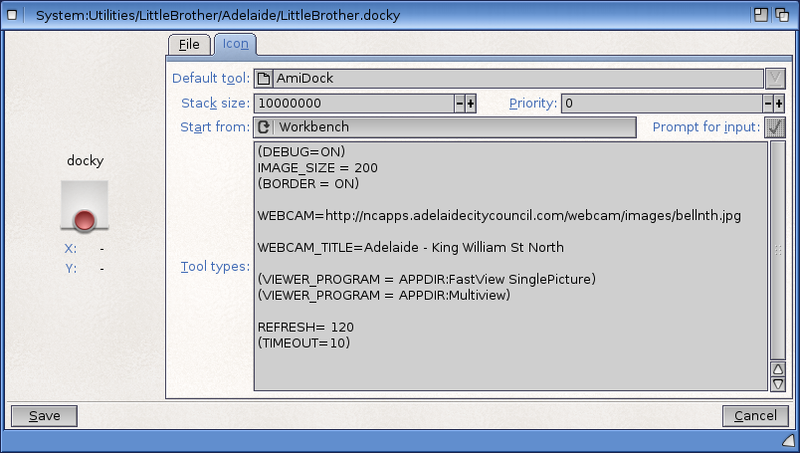 Dockies can add a lot of functionality to the Workbench, with information and programs quicker to access, and more detailed information available too. 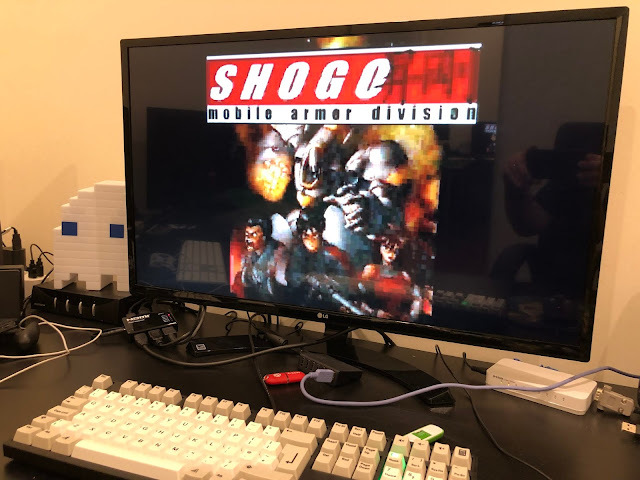 I hope this information is useful and inspires you to try out more dockies on AmigaOS4.1 Final Edition or 4.1.6 on your X1000! After a fresh installing of AOS4.1FE (Update1), zTools makes a Guru Meditation with WBL error, why?